Many parents and teachers that ask about pencil grasp have questions about their child or students' handwriting and grasps on the pencil. Sometimes, kids hold the pencil with very awkward grips! 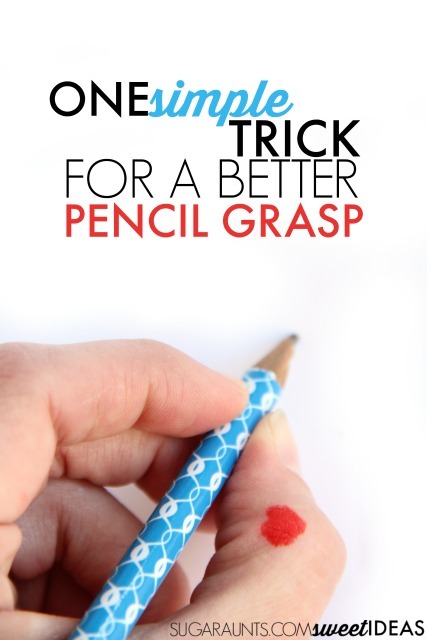 This super simple trick for helping kids hold their pencil with a more efficient pencil grasp is really so easy and one that will help promote thumb IP joint flexion and open up the thumb web space for more movement of the fingers while writing. 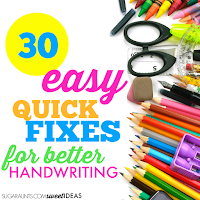 Looking for more creative ways to build handwriting skills? 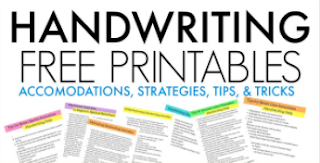 Join me in the Sweet Ideas for Handwriting Help Facebook group! 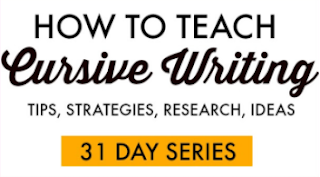 Related Read: Try these handwriting accommodation strategies to address a variety of handwriting challenges. 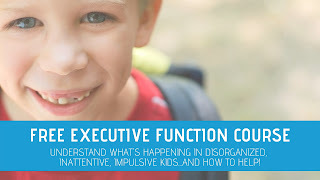 Pull out a washable marker. We chose red. You can pick a color that your child likes best. 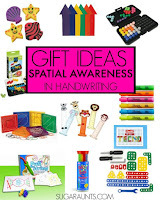 Scented washable markers might be fun for this simple activity, too. Next, draw a single dot on the thumb IP joint of your child's dominant hand. You want the dot to be on the inside of their thumb, so that when they make an "OK" sign with their thumb and pointer finger, they can see the dot. What is Thumb IP Joint Flexion? The dot will go on the IP joint of the thumb, or on the last joint before the end of the thumb. The thumb interphalangeal joint is responsible for flexing or bending the end of the thumb. the joint allows us to pick up very small items in pincer grasp and enables a functional tripod grasp while holding a pencil. Sometimes, kids hold their pencil with the thumb IP joint in a hyper-extended position as a result of weakness or lax ligaments and in effort to provide stability while moving the pencil. Other times, kids wrap their thumb over the pencil in a thumb wrap grasp as a result of weakness and also in attempt to provide stability in handwriting. When kids use these types of inefficient pencil grasps, they are putting their joints at risk for wear over time. One easy trick for addressing thumb IP joint flexion while writing is using that single dot on the thumb's joint. Show your child the dot that you have made on their hand. 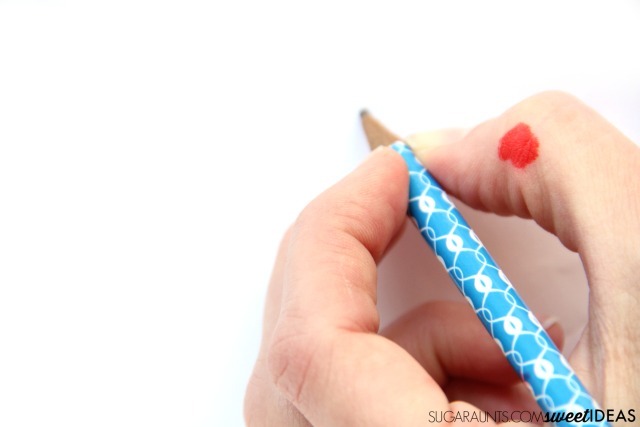 This visual cue can help kids become aware of how their thumb is holding the pencil. You want to see that joint bent. Show them how to make the "OK" symbol with their hand. 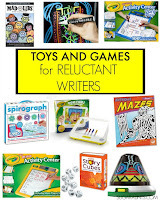 Tell them that they need to remember to make the dot bend when they are writing. A verbal cue that can be used if they slip into an inefficient grasp is to "make their thumb look OK!" When the child is writing with their pencil, they can see the dot and remember to keep that joint bent. By actively trying to use thumb IP joint flexion while holding the pencil, the writer uses the Flexor Pollicis Longus muscle with Opponens Pollicis. 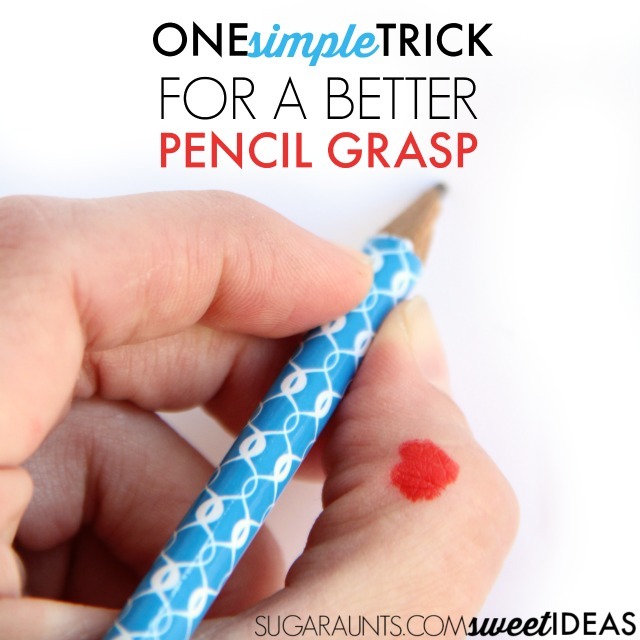 This creates an open thumb web space and a more efficient pencil grasp. 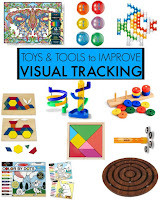 You can read more about this type of grasp and open thumb web space in this very popular post. This post is part of my 30 day Handwriting series. 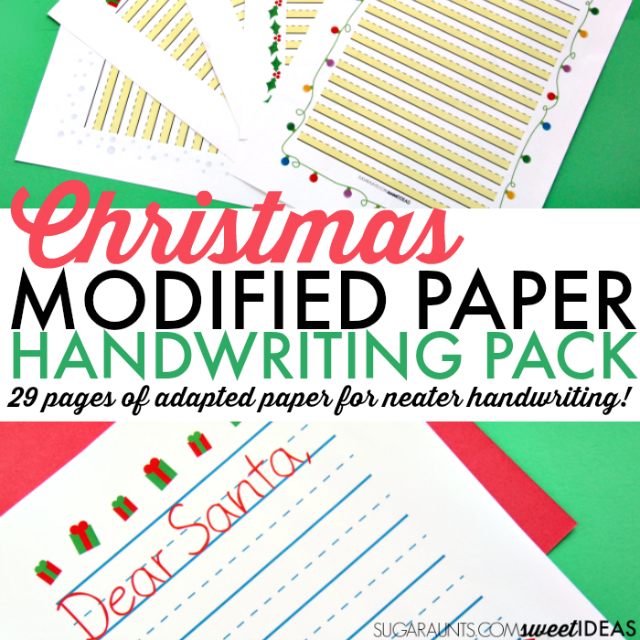 Stop by and see all of the Handwriting ideas.